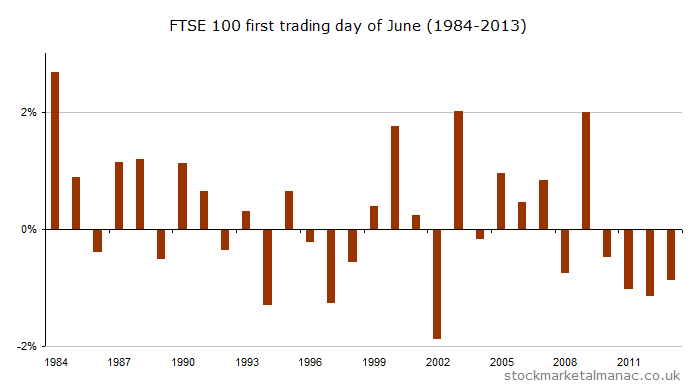 Since 1984, the FTSE 100 Index has a return average of 0.21% on the June FTD, which makes it the seventh strongest FTD of the year. 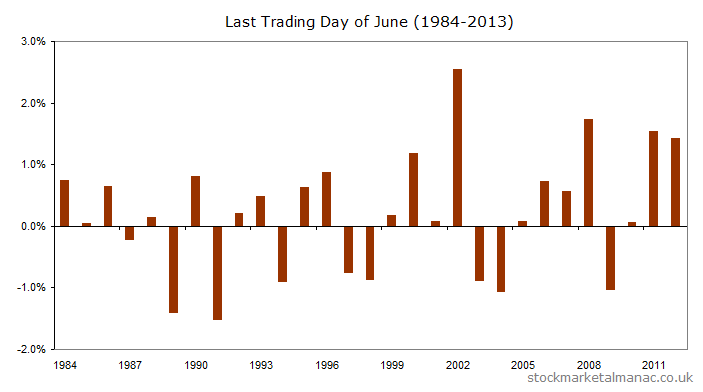 Although, as can be seen in the chart, the market has actually fallen on the first trading of June in the last four years. 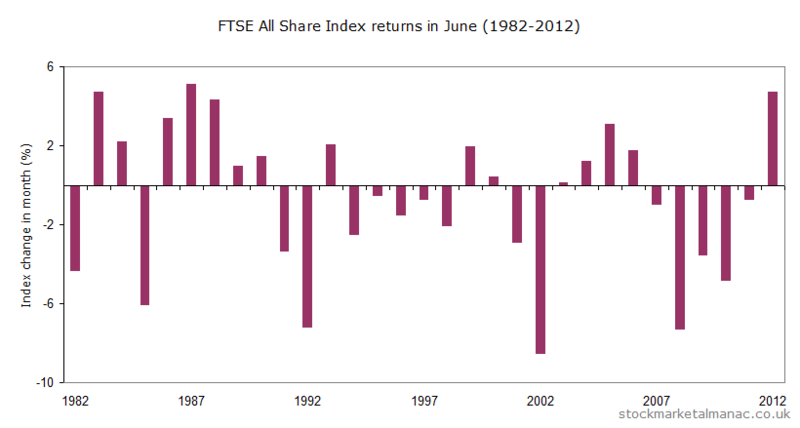 The following chart plots the average performance of the FTSE 100 Index during June since 1984 (more info on this type of chart). The chart shows that on average, after an initial strong couple of days, the market tends to steadily drift lower for the rest of the month. The average chart for May was posted a month ago here. 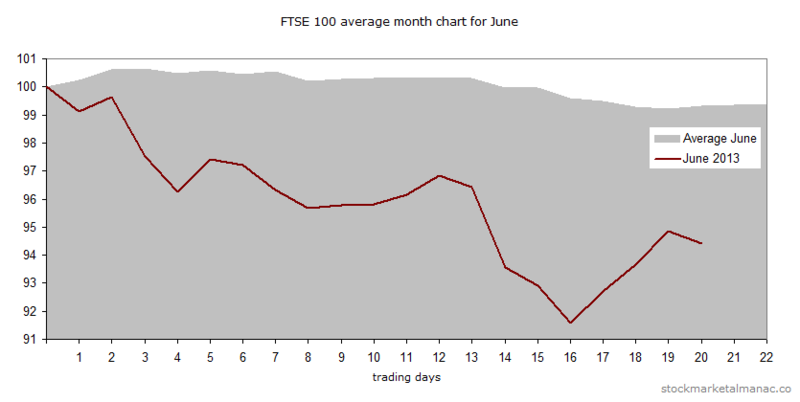 The following reproduces that chart and overlays the actual FTSE 100 for May 2013. 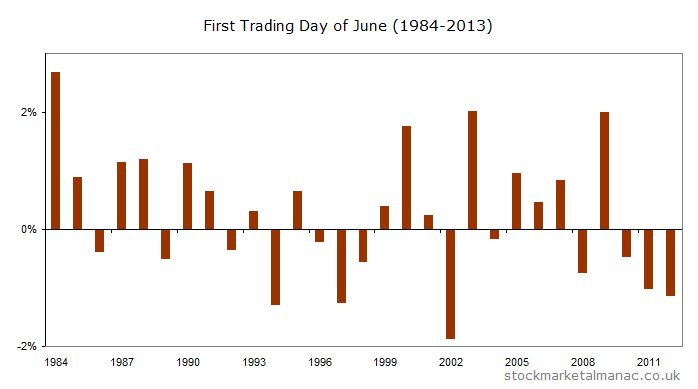 In an average May the market trades fairly flat for the first couple of weeks and then sells off from the 11th trading day of the month. 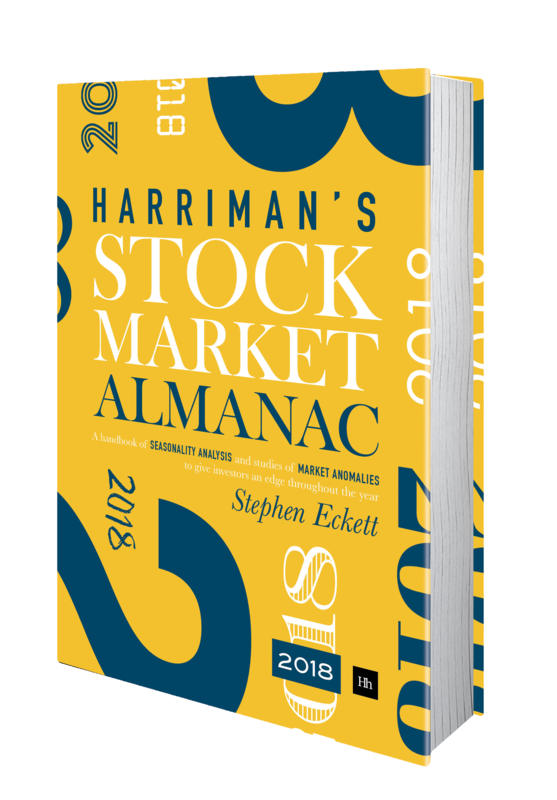 This year, the market was unusually strong for the first three weeks and then sold off from the 15th trading day of the month.